I held a baby shower luncheon on Friday afternoon for my co-worker. Our entire department (of around 12 people) were invited to come over to my home on their lunch break and celebrate. I’ll post about the recipes I used later this week. Since it was during a lunch break, there wasn’t really any time for games. But, I did do one and told the winning guest that I would make her choice of cookies for work on Monday. Lucky for me, she chose Oatmeal Raisin. Why lucky? 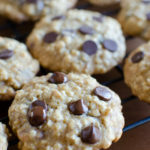 Because I’ve been wanting to make Oatmeal Raisin Cookies for a while now, and I planned to make Oatmeal Raisin Sandwich Cookies for Ben for his lunch since he’s been on the Little Debbie kick lately. 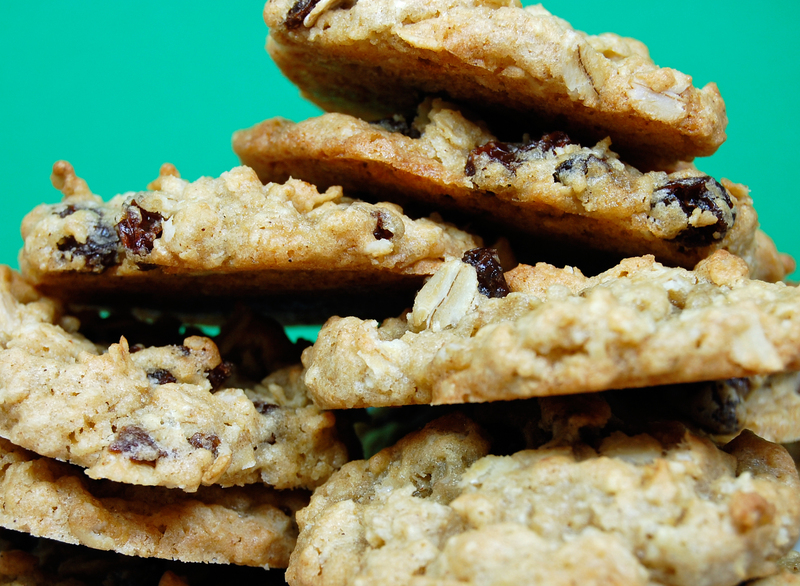 I’ll post the Oatmeal Raisin Sandwich Cookie recipe for you tomorrow. For now, I’ll leave you with just the cookie recipe since I’m watching Lost on TiVo and then heading for bed! 🙂 But, hey, it’s something for you to look forward to, right? Fold in rolled oats, raisin and walnuts (if desired). Drop dough by rounded tablespoons about 2 inches apart onto a cookie sheet. I LOVE oatmeal raisin cookies!! Yours look great. The cookies look awesome! 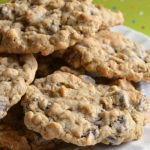 I love oatmeal raisin! Such a wonderfully classic recipe. Picture looks good.